This is a Cero. Photo by Rod (full size picture) taken at Horseshoe Reef, Key Largo, FL 12 March 2009. 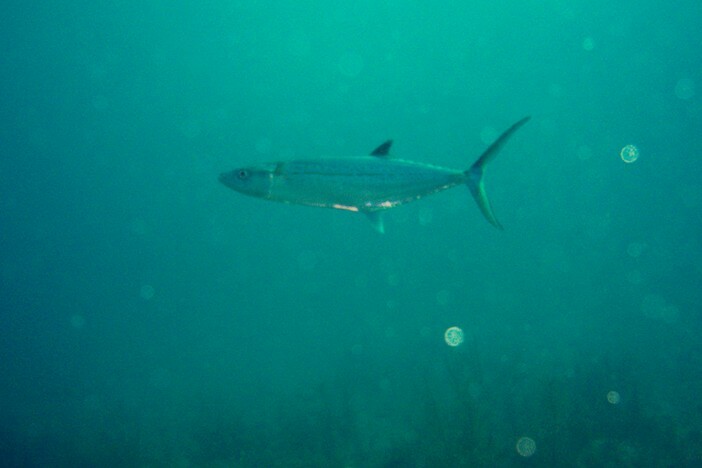 Features: Cero is in the Mackerel Family. 1. Series of yellow-gold streaks along midline from pectoral fin to tail. Similar Spanish Mackerel (S. maculatus) has only spots.